In Late 1998, what could only be described as an aural-visual collective known as UNKLE burst into the millennium-turning landscape. UNKLE was armed with a thunderous new breed 'electronica/trip-hop' album (Psyence Fiction), eye-catching videos and packaging, and an enigmatic but convincing approach to melding the technological revolution that was just on the precipice of affecting how we lived and breathed culture. Psyence Fiction went on to sell over 150,000 copies in the US, and one million plus world-wide, driven by the "Rabbit In Your Headlights" collaboration with Radiohead's Thom Yorke. The result was the launching of an artist collective headed by James Lavelle which has morphed into a clothing line, remix music house and media production center. 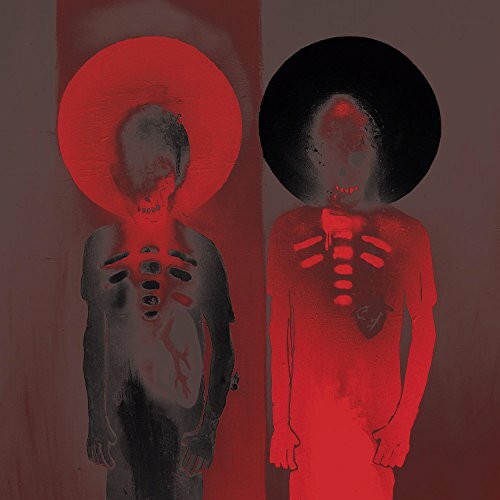 On UNKLE's third full album WAR STORIES (the follow-up to 2004's US release of Never Never Land), this musical collective branches into a world altered and changed since its introduction nearly a decade ago. Pumping with a muscular drive while embellishing UNKLE's trademark psyche-driven sounds and tales, WAR STORIES is a rock album of pulsing depth. Big Festival Rock For The Dance Tent. Recorded in the Rancho De La Luna studios with desert maestro/producer Chris Goss (the same combo behind Queens Of The Stone Age, The Desert Sessions and Masters Of Reality), UNKLE's WAR STORIES sees a cadre of strafing voices add character and personality to Lavelle's thumping songs, while Lavelle himself steps to the mic to deliver his first genuine singing efforts of UNKLE's career. The recent years remixing artists as varied as QOTSA, Massive Attack, Metallica, Depeche Mode & Robert Plant comes through as the songs cram hard, stoner rock with thumping rhythms, not into lazy mash-up form, but into crisp, intoxicating rock-electronica hybrids that could live famously in either setting. With known vocal guests like Josh Homme (QOTSA), Ian Astbury (The Cult) and 3D (Massive Attack, also WAR STORIES' visual mastermind) lending their weighty, familiar voices and relative newcomers like The Duke Spirit, Autolux and Clayhill's soulful Gavin Clark countering with a delicious freshness, WAR STORIES becomes a true album of sides: crafty, mind's eye tales versus emotional breakdown. And anchoring these factions is Lavelle's effortless contributions on "Hold My Hand" & "Morning Rage", songs which place Lavelle as guide to the various paths and alleys WAR STORIES carries the listener. If you have any questions about this product by Surrender All, contact us by completing and submitting the form below. If you are looking for a specif part number, please include it with your message.